On many occasions we are asked to transform an existing structure into a completely new look. That was the case with this circa 1985 contemporary bay front home in Margate, New Jersey. The scope of work included re-configuring the first floor living spaces, expanding the partial second floor into a full second floor and lifting the entire structure to comply with the new FEMA minimum flood height rules. In addition our client, a local builder wanted a show-piece for her work in a unique architectural style in our community. This Key West Style Architecture was selected because the materials and casual lifestyle feeling of this style is very applicable to our community. 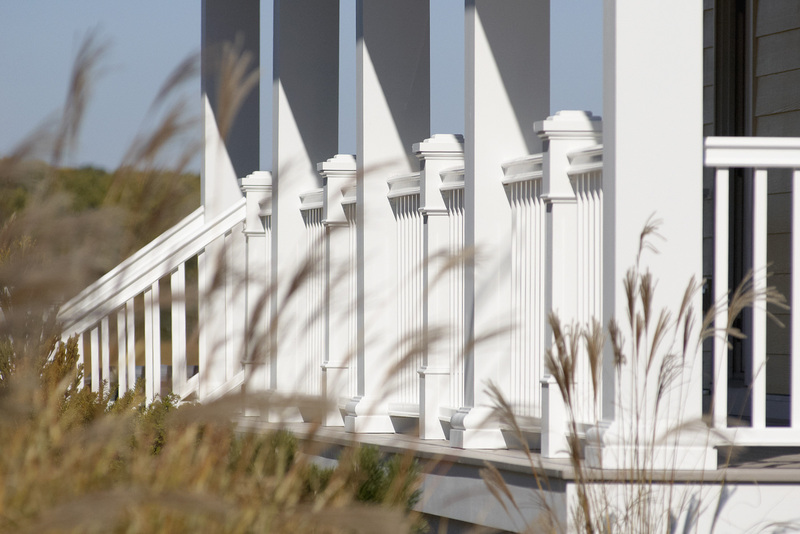 Additionally, the architecture lends itself to low maintenance materials typically used at the Jersey Shore. These include, metal roofs, fiber cement siding, stucco and stone materials. Of course the bay front location is very reminiscent of the channels and canals of Key West and the spectacular homes built along them. Just to make this challenging project more interesting, many volumetric areas of the existing structure were not in compliance with the current zoning codes. Though the existing structure was grandfathered in for zoning purposes, that is existing non-conformities were permitted to remain, all new construction was required to meet the current zoning requirements. This included all building setbacks, the building height and building coverage. Sometimes, the most challenging projects result in the best solutions. We are very excited about the way this building transformation has come together and look forward to seeing the transformation begin this fall when construction begins. I would love to hear your comments.